This is becoming so popular. Perfect little Save the Date card, which comes with an insert and a cute little envelope. A traditional and simple way to tell everyone about your big day! 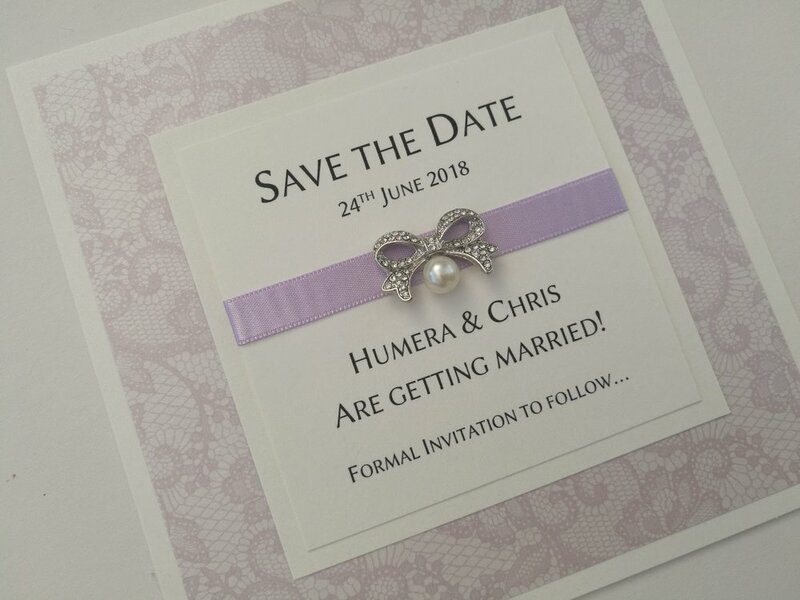 A simple but stunning style of invitation. Add a Guest Information Pack should you have more information to tell your guests. As the name suggests, this is the traditional style of invitation. Lovely way to present your wedding invitation, by your guests having to open it like a gateway. This is perfect if you have lots to tell your guests! 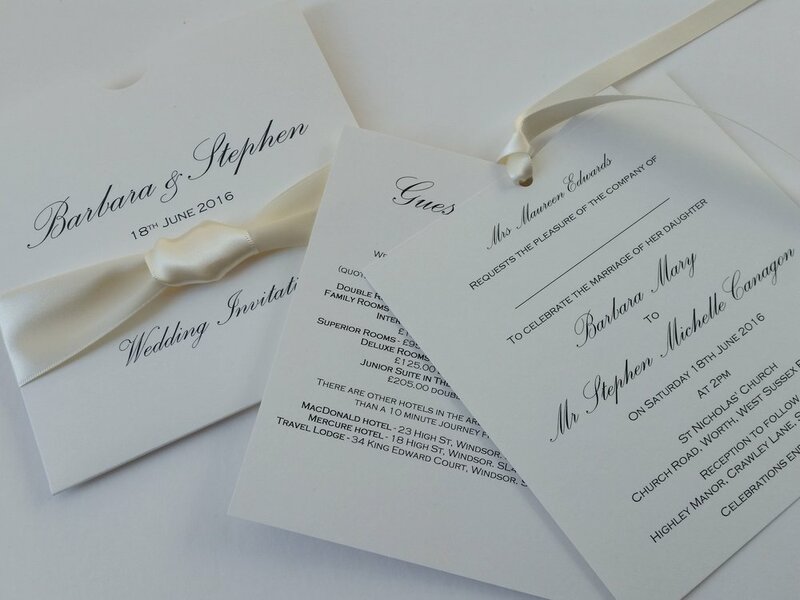 Includes the invitation and envelope, guest information, RSVP and matching envelope. Perfect if you have lots of information to tell your guests! Comes with one insert, but you can add more for a small charge.